What happens after I get arrested? What options do I have for fighting the charges? How can a DUI lawyer help me? These consequences become even more severe if this is your second or third DUI conviction. To minimize penalties, you need to act fast. You have 10 days from the time of arrest to request a formal hearing with the Florida Department of Highway Safety and Motor Vehicles to prevent them from automatically suspending your license. You will be arraigned then and will have to decide how to plead. Having a Villages DUI attorney on your side could mean the difference between moving on and jail time. 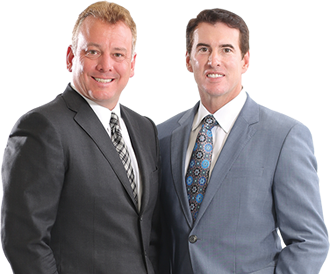 The attorneys at BCN Law Firm – Boyette, Cummins & Nailos – work quickly and diligently on your case, examining every piece of evidence and using our extensive DUI defense experience to fight for your rights. There are several issues that could be raised to fight your charges. Were you stopped illegally by the police? Did they administer tests correctly? Was the evidence handled in the proper fashion? Were there other circumstances at play during testing? These are just some of the questions your Villages DUI lawyer will get to the bottom of. It’s important that you hire a DUI attorney who will fight for you and who has the experience to expertly handle your case. If you’ve been arrested for impaired driving in The Villages®, don’t delay. Sign up for a free consultation* today. Listen to archived Law 2020 shows with Attorney Wade Boyette of Boyette, Cummins and Nailos Attorneys at Law. Hear answers to legal questions covering a variety of topics. Boyette Cummins Nailos, Attorneys at Law, The Villages and surrounding areas. Federal Law requires that we provide you with the following notice: “We are a debt relief agency. We help people file for bankruptcy relief under the Bankruptcy Code.” The hiring of an attorney is an important decision that should not be based solely on advertisements. Before you decide, ask us to send you free written information about our qualifications and experience.